BrakesZone has auto diagnostic service technology to sniff out issues. Modern day vehicles are run by computers which control just about everything your vehicle does. How it drives, accelerates, starts, brakes, delivers fuel to the engine, etc. This makes modern day vehicles much more economical and responsive. This is accomplished by using a multitude of electronic sensors located throughout the engine. When all of these sensors are working, the vehicle will perform at its optimum level. When there is a problem, these sensors will send information about the issue to your vehicle’s onboard computer. This information from our car diagnostic service allows our technicians to identify the problems. Looking to save on your next auto diagnostic service? 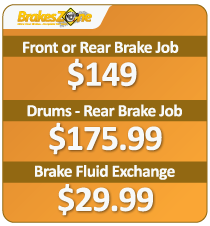 BrakesZone offers great savings with our car diagnostic service coupon to help you save even more! We’ll hook your vehicle up to our state-of-the-art Snap-On VERUS auto diagnostic scanner which will analyze your vehicles computer and each of the engine sensors. The error codes your vehicle’s computer emits will point our technicians in the right direction and allow them to quickly and efficiently determine if your vehicle has a problem. 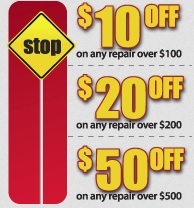 Check out our great auto service coupons.